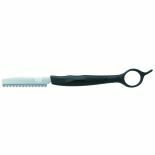 The ergonomically designed Speed Edge Razor is a smooth and comfortable tool for creative hair sculpting. 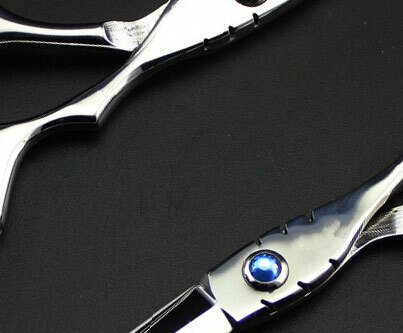 The straight holder has a fixed finger ring and is lightweight and perfectly balanced. 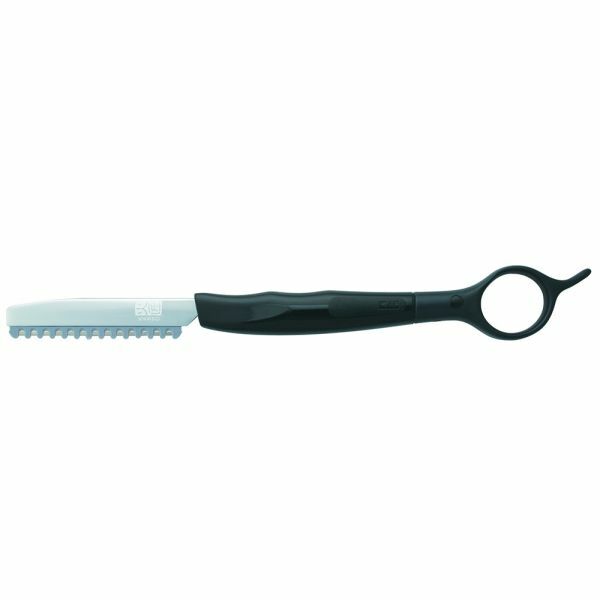 The moulded plastic comb with surgical steel blade prevents the accumulation and clogging of cut hairs, and guarantees superior and safe cutting performance. Takes Kasho Speed Edge Blades which are also interchangeable with most other holders on the market.